Meryl, Alice and Rowan are totally different, but they share a lot of the same qualities: Chic, smart and expertly put together. They’ve all got great shapes, too -- curves and angles that define these gorgeous leather accessories. Meryl is a dresser-top jewelry keep with plenty of storage for a wide collection of jewelry. 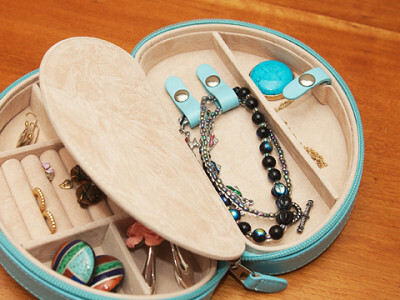 Suede-lined compartments hold rings, watches and chains, plus Meryl comes with a takeaway jewelry keep for traveling. Alice (left) is a midsized, zippered jewelry case with two generous storage nests that include ring compartments and leather tabs for chains. Ideal for travel or a trip to the gym, Rowan is a round, zippered case with chain hooks in the lid, ring forms, and space for bracelets, earrings or a dress watch. The clean, modern lines and superb leather craftsmanship seen in Meryl, Alice and Rowan are hallmarks of their maker, Rowallan. The company’s roots can be traced to Kilmaurs, Scotland, not far from the 19th century castle that inspired its name. One of the original founders, Jan Pattison, is a graduate of the famed Glasgow School of Art, and you can see how Rowallan has been influenced by the region’s leather-crafting heritage and world renowned reputation for modern design. Current owner Kathleen McHugh is building off the European tradition and infusing Rowallan’s newest leather goods with a fresh, colorful vibe -- which makes this trio even harder to resist. are there any better enlarged pics of the inside features of each? The small pics on the grommet page make it real hard for me to decide which one she needs. @Nick: If you click on any of those small images, a larger image appears. I have added more images here. You can click on the small image to open an enlarged image. Can you provide the dimension of the Rowan and the Alice (the two smaller sizes)? I like both but trying to determine which would be best. How many pieces of jewelry can "comfortably" fit in each? Thank you. @Laura Boderck - TrainingSmart: You can find the details for any given Grommet on the Details tab which can be found below a Grommet's video. I will pull over the dimensions...it never hurts to have them in more than one spot! Dimensions: 7 x 2 x 4.25"
Dimension: 6 x 2.5 x 2"
Dimensions: 12.5 x 8 x 3.2"
@Laura Boderck - TrainingSmart: The ALICE, the half-moon travel-sized jewelry keep is 7" x 2" x 4.25". It has 2 sections, as you can see in the photos. In one section there is a place to securely fasten 2 chunky (or any kind of) necklace. 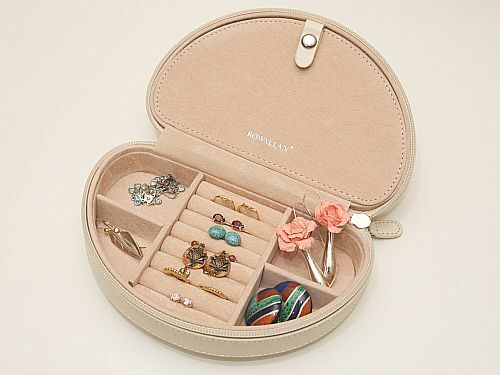 While in the other section, there are 4 smaller compartments ideal for larger earrings, broaches, pendents, or anything. Separating the 4 compartments in this section is a section ideal for numerous rings and/or broaches. Earrings can be secured here too. 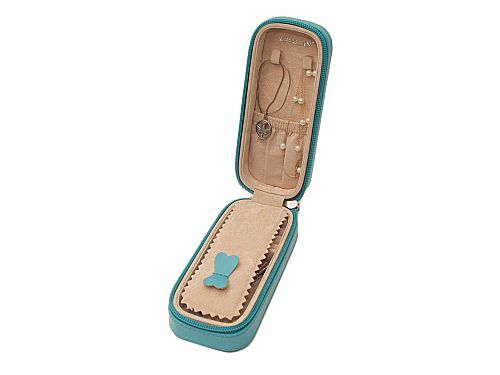 The ROWAN zip-round pencil-shape travel-sized jewelry keep is more petite, overall: 6" x 2.5" x 2". It's ideal for the "must haves" for an overnight or weekend trip, fitting into any handbag, duffle, or other. The top part has a place to hang 2 necklaces, with the bottom portion of necklaces fitting neatly in the pouch below. The bottom section of the ROWAN has a nice open compartment for larger earrings, chunkier necklace, bracelet, or other. And, this section has plenty of room for earrings and/or broaches. Since I travel frequently for business, I just love these jewelry boxes! The compartments are like a checklist.... I haven't forgotten earrings since I started packing these in my carry on. My buncombe group loves it when I host because of these unique party favors. 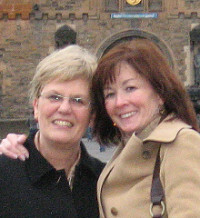 @Carolyn: It's great what a success Rowallan's jewelry keeps have been as gifts for you (and for your personal travels)! In fact, these jewelry keeps are ideal for every gift-giving occasion throughout the year, appealiing to women of all ages. They are "must haves" for travel too! I like it. A you selling to Kosovo? @ Linda: Glad you like them. We're able to ship them in USA only. Perhaps you have a friend or family who lives in US you can ship to and then they can ship to you? Are these made in Scotland or only designed there? @Danielle: The company's founders honed their craft in the hallowed halls of The Glasgow School of Art, schooled in the Glasgow philosophy that beauty and utility are not mutually exclusive and should be intelligently incorporated into every design. Meryl, Alice and Rowan are totally different, but they share a lot of the same qualities: Chic, smart and expertly put together. They’ve all got great shapes, too -- curves and angles that define these gorgeous leather accessories. 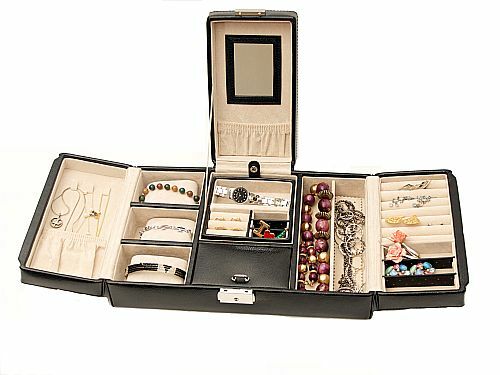 Meryl is a dresser-top jewelry keep with plenty of storage for a wide collection of jewelry. 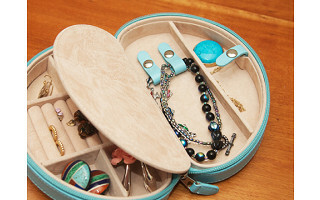 Suede-lined compartments hold rings, watches and chains, plus Meryl comes with a takeaway jewelry keep for traveling. Alice (left) is a midsized, zippered jewelry case with two generous storage nests that include ring compartments and leather tabs for chains. 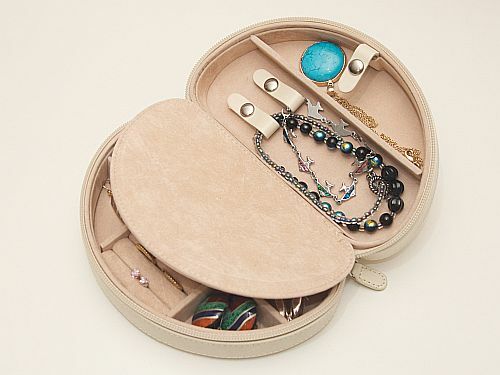 Ideal for travel or a trip to the gym, Rowan is a round, zippered case with chain hooks in the lid, ring forms, and space for bracelets, earrings or a dress watch.